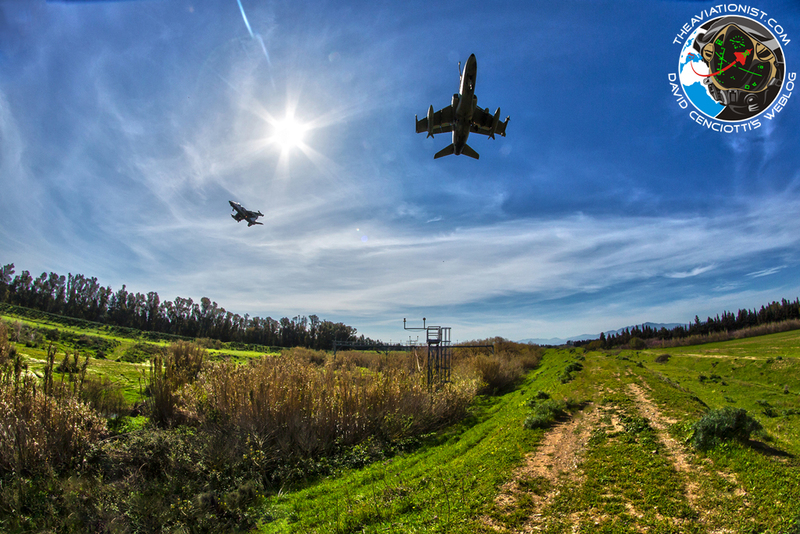 With several European air forces forced to ground squadrons, reduce flying activity (with significant impact on their preparedness to react to the surge of Russian air force bombers and spyplanes missions) and cut hours destined to the aircrew training just like happening in the U.S. as a consequence, of sequestration cuts, there are few airbases where aircraft enthusiasts can still spot some intense flying activity (but the few that are hosting a large exercise). 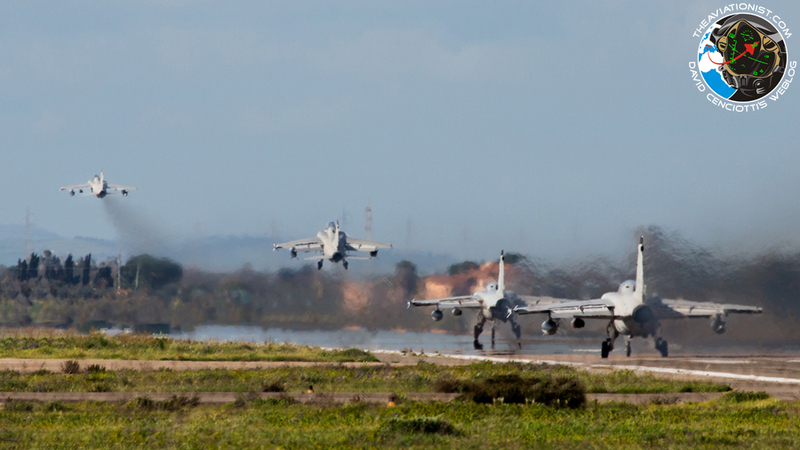 One of them is Decimomannu airbase, in Sardinia, where aircraft belonging to several Italian and foreign services (including U.S. ones, sporadically) deploy to undertake air-to-air and air-to-surface live firing activities. Few weeks ago, we published the images of the Eurofighter Typhoons belonging to all the Italian Air Force squadrons equipped with the European fighter jet, deployed at “Deci”. 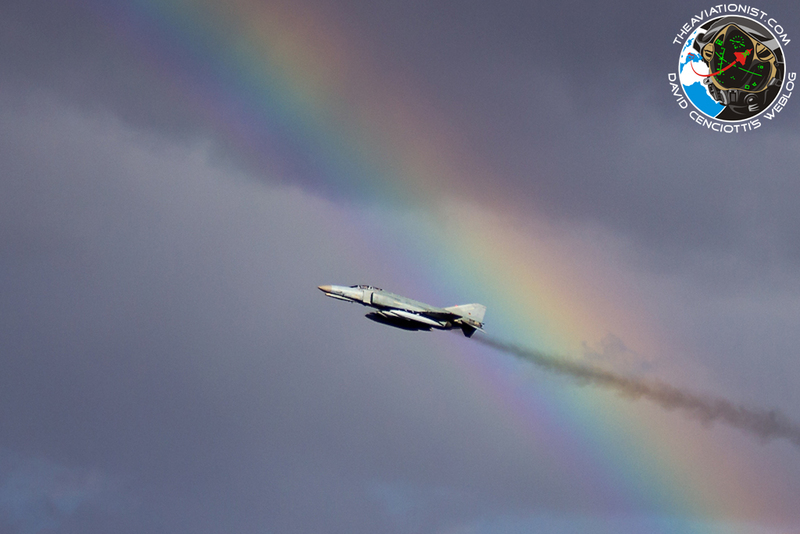 The images in this post, taken by The Aviationist’s contributors Gian Luca Onnis and Alessandro Caglieri, show some of the aircraft recently deployed in the Sardinian base. Noteworthy, along with the Italian Air Force AMX and German Air Force Tornado fighter bombers, Decimomannu has hosted in April the last detachment of the WTD-61’s F-4 Phantoms. 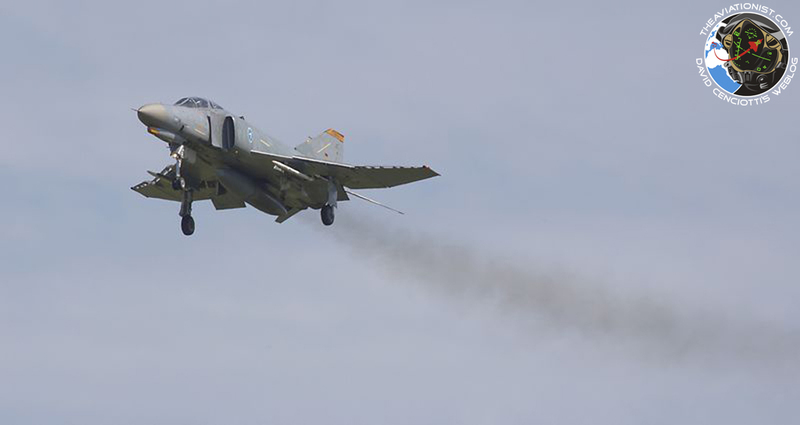 The F-4 is going to be retired by the GAF later this year.